Here's a secret for you – I used to be terrified of self-promotion. I even blogged ANONYMOUSLY for years because I was too afraid that people in my real life would not care or be supportive. It's no surprise my first attempt at blogging (almost 7 years ago!) was not so successful because I DIDN'T TELL ANYONE what I was doing. Crazy right?! 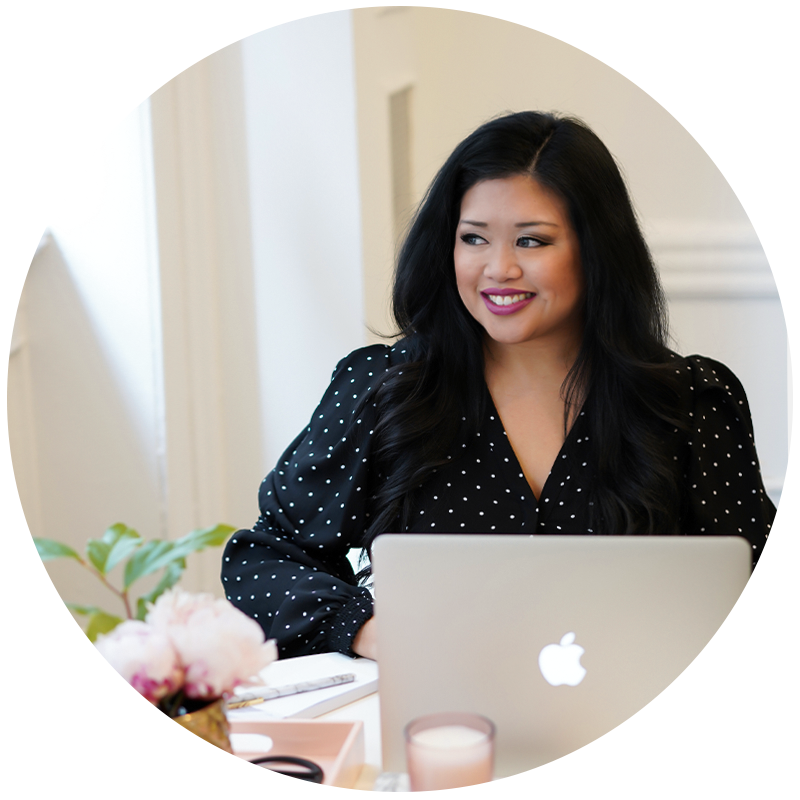 I am not the type of person who can put a ton of hours into something “just for fun” so eventually I realized that if I was going to get serious about blogging, I needed to get over my fear of self-promotion. It was hard at first, because at the time I was basically a “lifestyle” blogger and I felt weird being self-promotional about things that were on my shopping wish list or photos from my recent vacation. 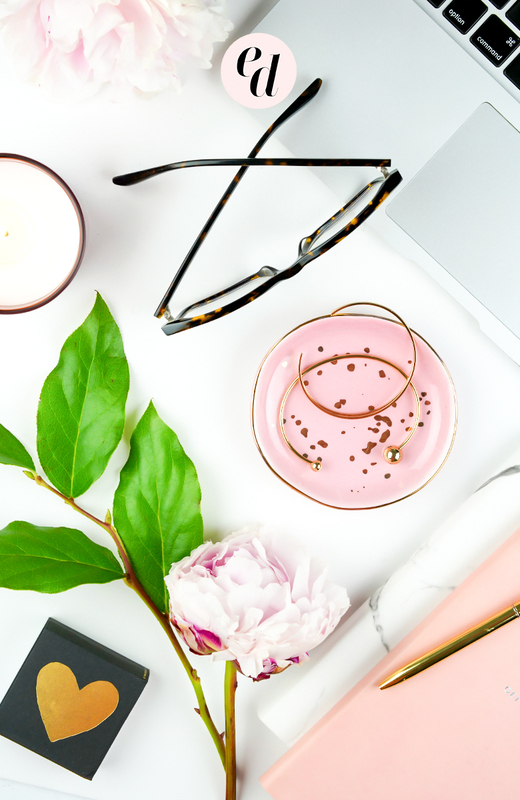 But once I narrowed my focus to luxury beauty (I used to be a beauty blogger, in case you didn't already know), it was much easier to self-promote because I was reviewing products and actually providing value through my blog posts. Now that I blog for my business it's actually easy to self-promote because I know that my blog posts are actually helping people AND because more people are finding my blog, I've seen a significant increase in other people promoting my content too! 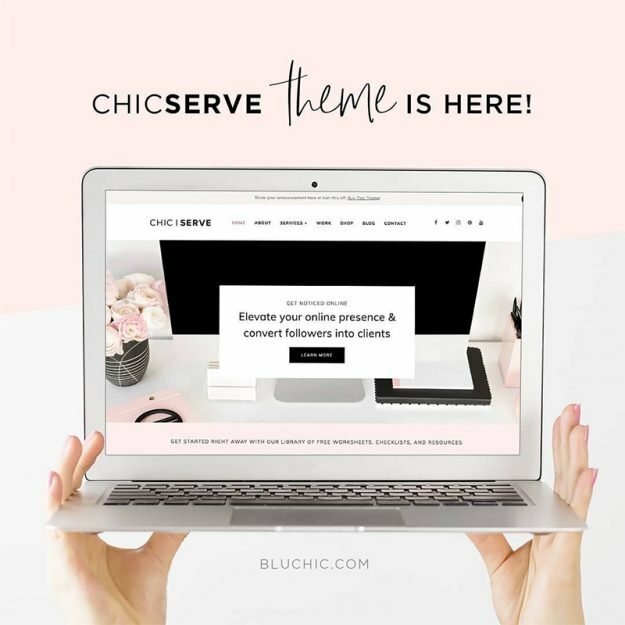 If you're a blogger or online business owner (which I assume most of you are! ), and you're still afraid of self-promotion, you NEED to get over it if you want to grow. It's SO MUCH harder to get noticed online if you're not putting yourself out there and selling yourself, your products, and your services. It's a skill – a very useful skill – and one that a lot of people aren't talking about. False. Do you interact with humans on a daily basis? Then you're good. The truth is – you don't need a HUGE audience, you need an engaged audience. One of my clients is a photographer who has booked clients through Instagram with less than 100 followers. I had ZERO people on my email list when I booked my first consulting clients. I've also had people with over 1,000 people on their email list hire me to help them find clients. You don't need a large audience to provide value and just because you have a large audience doesn't mean you'll make any money – ok? I'm not saying numbers don't matter at all (they do). And it WILL probably be easier to get more clients/sell more products if you have more followers/subscribers – but everyone starts somewhere. And you don't have to wait until you have an audience of X number of people before you can start offering your services! It doesn't have to. Seriously. It's sleazy if you're trying to convince someone to buy something they don't need at all. It's cheesy if you sound like a robot or infomercial when you're doing it. It's uncomfortable if you're never done it before or you don't believe in yourself or whatever you are selling. But you SHOULD believe in whatever you're selling and since that's the case, you can have genuine conversations with prospective clients that lead them to invest in a relationship with you <– that's selling. THIS. We all know that person who is ALWAYS trying to get you to like their page / read their blog post / buy their thing – the one who you want to unfollow / unsubscribe / unfriend because OMG SO ANNOYING. The reason this person is so annoying is because they are constantly asking you to do things without providing something in return. For example, I subscribe to get daily emails from Need 2 Know because I want to know what's going on the world but also just want the important headlines in an easily digestible format. I don't get annoyed when I get their daily emails because they are providing something valuable to me. And when they occasionally include ads or promotions in their emails, I'm not going to unsubscribe because I WANT those daily emails! If you are providing real value, people won't be annoyed even if you're in their face every day. And to be honest, if you're worried about being annoying – you probably won't be. Been there, done that – it's a waste of time. If you are creating valuable content and offering services that ACTUALLY HELP PEOPLE then why wouldn't you share that? People will not just come to your website because you have one. People will not read your blog posts just because you publish them. People will not hire you for your services just because you have a contact page. You HAVE to put yourself out there. This doesn't mean you have to go around telling everyone, “look at me! hire me!” – but it does mean you need to BE VISIBLE. Regularly show up wherever your potential customers are and build relationships. Be helpful. People will notice. Also not true. Marketing does not equal sales. Marketing is the stuff you do to build awareness for your brand and reach potential clients. Sales is the process of converting those prospects into actual paying clients. 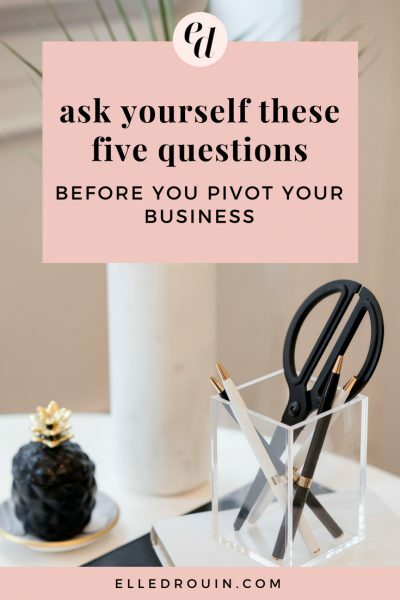 So if you feel like you're getting lost in a saturated market and no one is noticing you, you probably need help with your marketing strategy. If you are getting traffic / followers / subscribers but no clients, you probably need help with your sales strategy. They are two completely different skills – and if you want to grow your business, they're BOTH essential. The good news is, it doesn't have to be hard. If you're overwhelmed by marketing you probably just need to cut out the noise and focus on the the strategies that work for YOU. And if you're uncomfortable selling, you just need to reframe the process so it feels more like friendly conversation. Really great advice. I’m great at helping others with marketing/sales and the worst at doing it for myself (I think that’s a common scenario). This is a good reminder to kick myself into gear! Thanks for sharing. I am so glad I found you Elle ! Seriously you have some amazing insights about selling & getting clients.I just started my business & all your tips and motivation is really helping me.Thank you ! 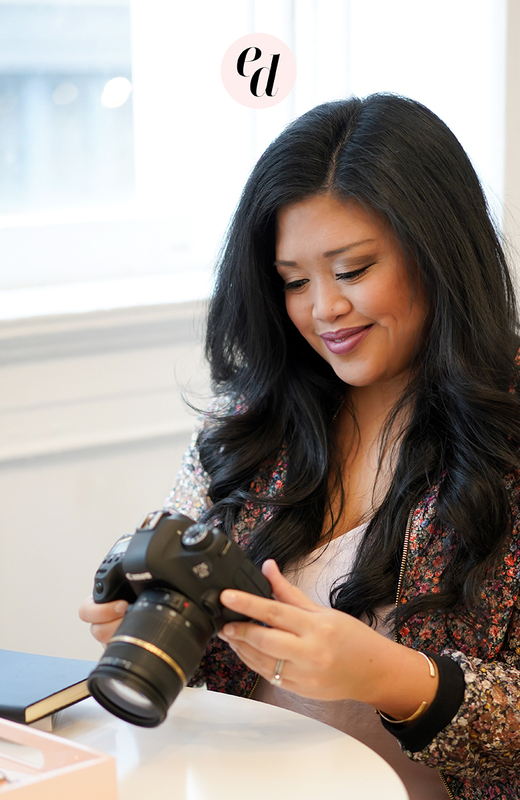 Thank you for taking the time to read + comment and I’m so glad you found this post helpful! This is a constant struggle for me, but a great reminder nonetheless! Thank you! All of these are so true when starting out! It’s so easy to feel like a faker – and sometimes I still do! It’s hard to self-promote when you feel like you’re faking – but once you help a few people, it really gets the ball rolling! So true – I think everyone goes through a phase at first where they feel that way! I definitely did! Thanks Courtney! I actually hesitated before publishing this because I worried about coming across as too much so that feedback is great to hear! I like your note on NOT needing a huge audience/ following to complete sales. I currently don’t have a huge Facebook or Instagram audience, but still manage to book clients! Great advice! Thank you :) looking forward to my checklist and getting cracking on more sales! This is such great timing! I have a client (who totally gets how social media marketing works), that told me one of her employees (who doesn’t get it) was complaining that our Instagram doesn’t get as many likes as her model friend’s does….. YES! We run a business, not simply because we love it, but in order to also make our living. It doesn’t matter how much you inspire others if you’re forced to dine on ramen noodles every night. You’ve got to sell to succeed. Sure, you can do it without going the sleazy user car salesman route, but if you don’t sell, you won’t long be in business! Great advice. Selling myself is not my strong point. Great post! I’m pretty sure I’ve had all of these thoughts at some point or another before. And I’m working on some offerings right now and trying not to let this stuff hold me back anymore! This post is SO TRUE! 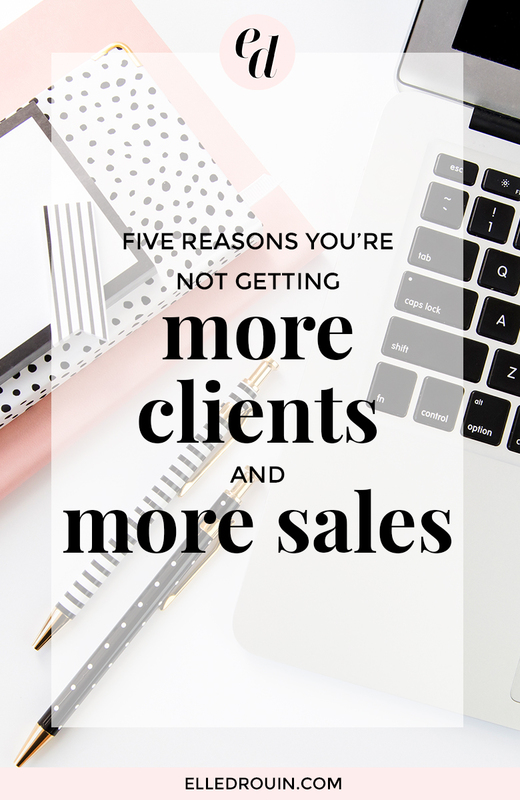 I just started my freelancing business and have never really been comfortable with “selling” myself but I got two clients in ONE WEEK with no one signed up for my email list and minimal blog readers…you just need to put yourself out there! I love what you are saying and its what I’m starting to realise too, that the biggest help if you are nervous of promoting is to strategise what you are doing. Really, really helpful stuff here. It’s so important to understand the difference between sales and marketing and you break it down in an easy to understand way. Super valuable post — thank you. This is so helpful! Thank you for this! Love this advice! Very thorough & thoughtful. :) I love the encouragement & truth behind the fact that the amount of followers someone has doesn’t necessarily equal success or selling. This could be written about me. My goodness. Saving so I can reread over and over and over. Thank you!! OMG!!!! This article was written for me. I’m so afraid to self-promote because I think that once people see me that they will not want to use me for their services. ? ?‍♀️ Crazy! I know! In fact, I’ve read tons and tons of blogs and varying articles that are so helpful but this is the first time I’m leaving a comment. Crazy again right! I have lots of confidence I promise! It’s the getting the customer I lack confidence in. I guess my Sales strategy needs help or even created. PLEASE HELP! !